We both need to still get our licenses/declare residency (and I need to change my name! yikes! ), but it seems like there are so many hoops to jump through. Yesterday I started Day 2 of my new job, which is awesome. It is very different from my last job, and I am not leaving work at the end of the day exhausted anymore. I’ll let you know if I feel the same way after school starts! But lately all I want to do is cuddle up on our new couch, and watch the free year of HBO that came with our internet/cable package. Any recommendations (besides GoT because I’m already all over that). brain picks the side of adventure, the lazy side always wins. So while we are getting more comfortable after our move, I still feel in a little bit of a state of flux. I am a huge list person, but moving has been a little more stressful than I anticipated, and I am having to re-evaluate my listing technique. I used to be TIED to my Day Designer, but now I am finding it so much easier to just list on a legal pad. This quote has inspired me a lot lately, as I remind myself to not wait to do things. 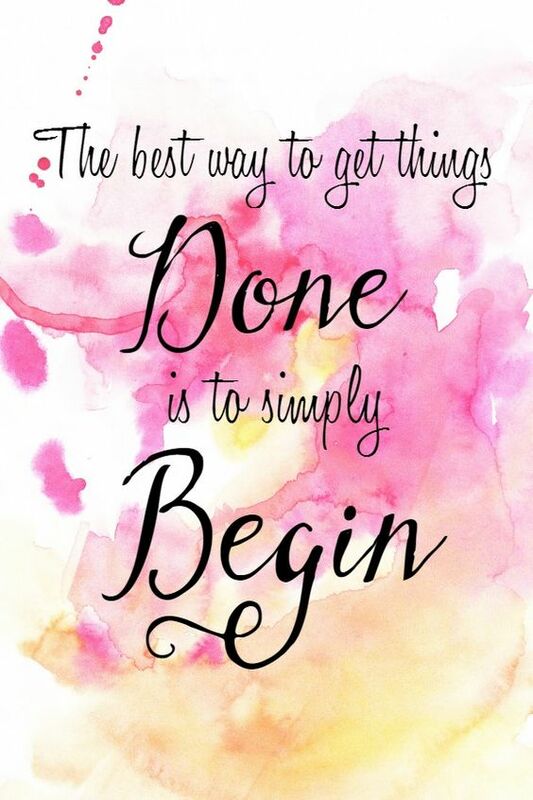 Nothing is going to get done if you don’t start it first. And that seems especially true for things that I might not prefer to do. So I am over here just whittling away at my ever growing to-do list. I’m sorry if I’m not as active in this space as normal, but bear with me as I learn how our life is going to look in Pittsburgh. I love you guys!